Situated on the corner of the West Coast Road and Berkshire Boulevard in Sunningdale, Table Bay Mall offers a unique and sophisticated single-level shopping, dining and entertainment experience to Cape Town’s West Coast. Table Bay Mall is the largest regional mall in the hub of the Big Bay, Bloubergstrand and West Beach areas. It has over 65,000m2 of retail space, with the option to expand to 90,000m2. COBA Africa supplied matting to cover an area of 550m2. The mall combines the ease of a convenience centre with the choice of a regional shopping centre and boasts more than 150 shops and restaurants, many of which are flagship stores. 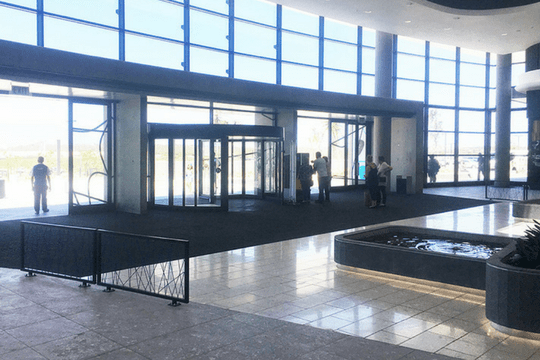 Table Bay Mall has been designed as a place to gather, relax and watch the world go by, with the central entrance bordered by alfresco-style coffee shops, restaurants and eateries. 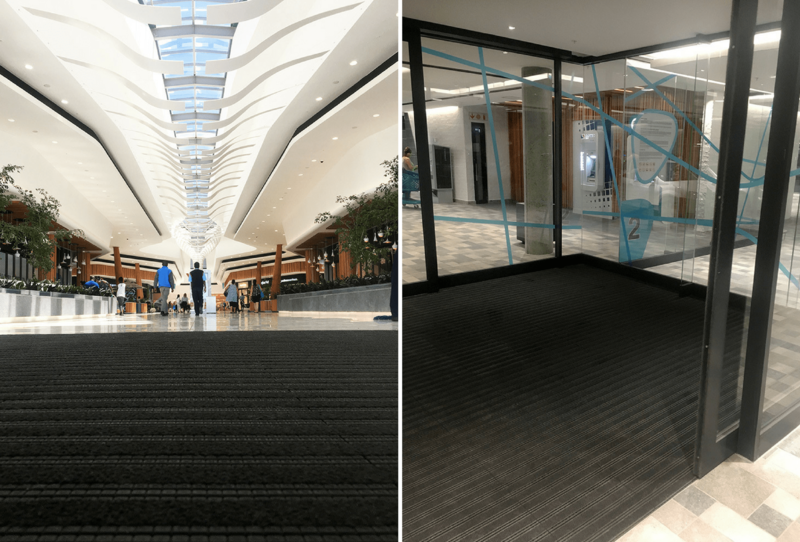 The mall’s design was inspired by the curved flowing lines of elegant super yachts and brings a sense of space, natural light and movement to the structure. In keeping with innovative green-building technologies, water and power saving initiatives will ensure long-term sustainability – from LED lighting to rock gardens and rain water being harvested on the roof. 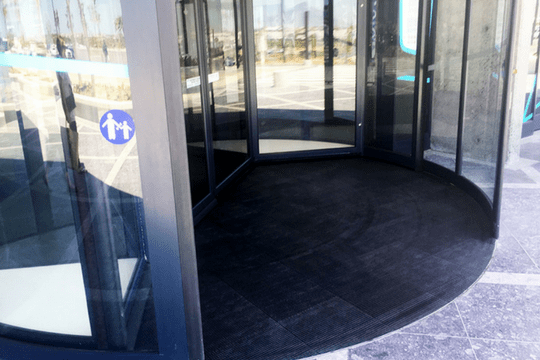 When choosing their entrance matting solution, the designers opted for both Premier Track (a heavy-duty, premium quality tile system) and Premier Grip (100% recycled PVC interlocking tile system) matting. Links directly with Premier Track and Premier Star Gripper.